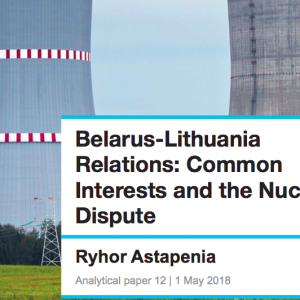 The Ostrogorski Centre presents a new analytical paper ‘Belarus-Lithuania Relations: Common Interests and the Nuclear Dispute’, written by Ryhor Astapenia. 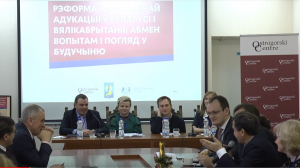 The paper aims to improve mutual understanding between Belarus and Lithuania. The relations between two countries deteriorated when Belarus officially started the construction of a nuclear power plant (NPP) on the border with Lithuania in 2013. The issue may dominate dealings between the two countries for a long time to come. Both countries rely on separate facts to support their position while ignoring arguments presented by the other side. Lithuania has a right to raise issues related to the security of the power plant but nonetheless over-politicises the problem. Belarus and Lithuania disagree even regarding the purpose of the nuclear power station’s construction. The Lithuanian elite believes that the initiative to launch the Belarusian NPP belonged to the Kremlin. According to them, the purpose of the NPP lies in keeping the Baltic States dependent on Russia’s power resources, while renouncing plans for the Visaginas NPP; a Lithuanian power station which was to be constructed on the border with Belarus. The Belarusian ruling elite saw the Belarusian NPP as an opportunity to decrease their own dependence on gas and, most likely, to stimulate the economy as a whole and the depressed Astraviec district in particular. The rival narratives only grew as both parties found new arguments to fuel the dispute. The Lithuanian side makes the well-grounded claim that the Belarusian authorities have a problem with transparency. For example, when a 300-ton reactor vessel fell, the authorities initially refuted reports and concealed the incident from the public for several weeks. This gives the impression that, in the event of an accident at the power station, Belarus would not inform Lithuania (and indeed its own citizens), or will do so only when it is too late. In addition, the construction of the NPP by Belarus does not fully meet the requirements of both the ESPOO Convention and the Aarhus Convention, though in practice many similar constructions go through difficulties in order to correspond with all the regulations of these international conventions. They are based on the good will of the signatories, and even many European Union member states argue about compliance with these Conventions. Moreover, the Lithuanian side tends to ignore several facts. First, Belarus is coping with the development of the nuclear power engineering excellently according to the International Atomic Energy Agency, the regulator (and the lobbyist) of the field. Secondly, Belarus voluntarily agreed to be subjected to the stress-tests of the European Commission. Finally, even Lithuanian energy specialists note that the station complies with high safety standards. Relations between the two countries appear black-and-white in the sense that relations are very negative in some spheres and as positive in others. Apart from the NPP, military cooperation and intelligence services’ activities remain sore spots in bilateral relations. Lithuania was probably the biggest critic of the Zapad-2017 military drills held in Belarus and Russia last autumn and intelligence communities of both states look at each other with nearly open hostility. However, the irony lies in the fact that, despite a poor reputation, the defence ministries of the two countries cooperate rather successfully. 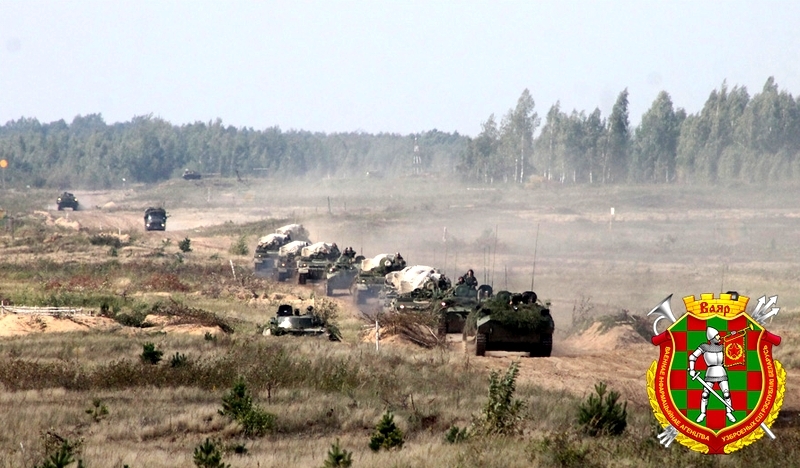 Lithuania was the first NATO country to sign a plan for military cooperation with Belarus. According to the plan, the countries exchange a significant volume of information and hold annual inspections of military objects. The latest such inspection was conducted in October 2017, three weeks after the Zapad-2017 military drills. In the sphere of economic cooperation and contacts between citizens, relations show notable successes. The two countries are key economic partners: Lithuania remains one of the biggest Western investors in Belarus, having occupied first place among them, and was one of the biggest exporters from the West in some years. Cross-border movement of people between the two countries grows constantly. The EU Programme for Border Cooperation plays a significant role in this, providing financial resources to maintaining the countries’ interests towards each other. 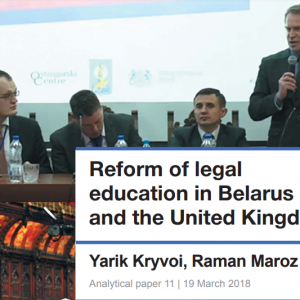 According to an insider, when representatives of the Belarusian organisations cooperate with Western Europeans, they often feel patronised, while “in cases of working with Lithuanians and Latvians, they feel equal and engage in cooperation fully”. Belarusian-Lithuanian relations have a much greater potential than many think. With the deepening of the Belarusian-Lithuanian ties, Lithuania could play an increasing role in the transformation of Belarus. For instance, at the end of 2017 Belarus signed up to its first “twinning” project, aimed at the support of the Belarusian National Bank and financed by the European Union. The Central Bank of Lithuania serves as the “twin” in this project. This is just one example how the countries can pursue their interests helping each other. The main problem in Belarusian-Lithuanian relations is the lack of trust between the parties. The states need to learn to put one another in the partner’s place. More specific recommendations include creating a joint mechanism to monitor the Belarusian NPP, expanding bilateral expert-level dialogue, proportional re-distribution of finances from the EU Neighbourhood Program and broader information exchange between the two states’ defence ministries. So far, Belarus and Lithuania successfully avoided arguments in the spheres where cooperation remains mutually beneficial. Now it is time to ease conflicts on the sore issues.